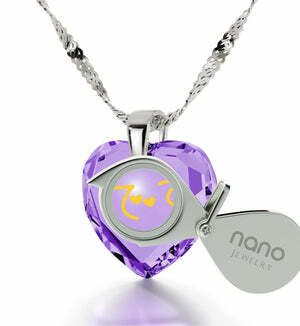 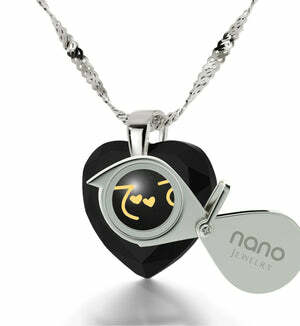 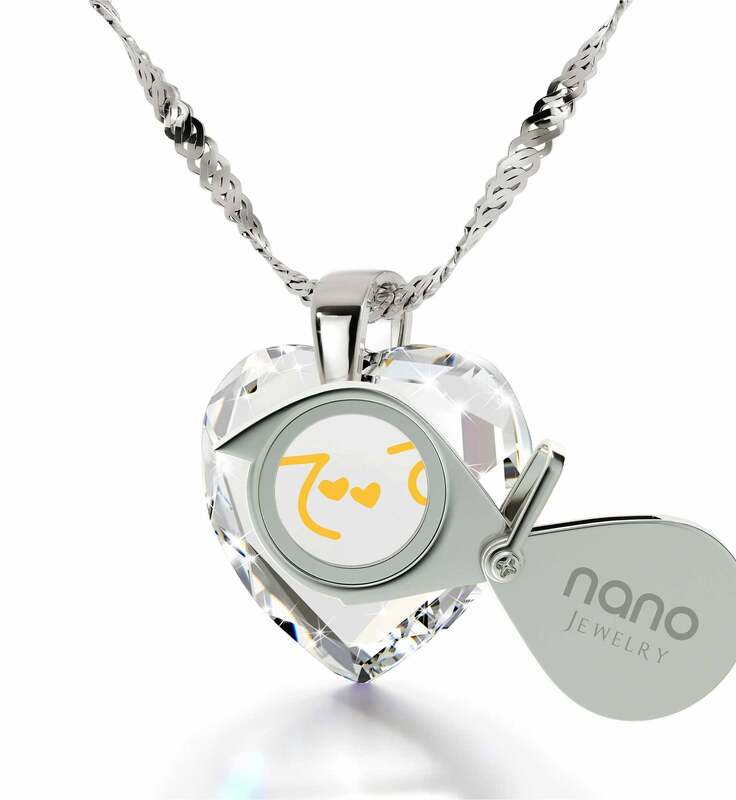 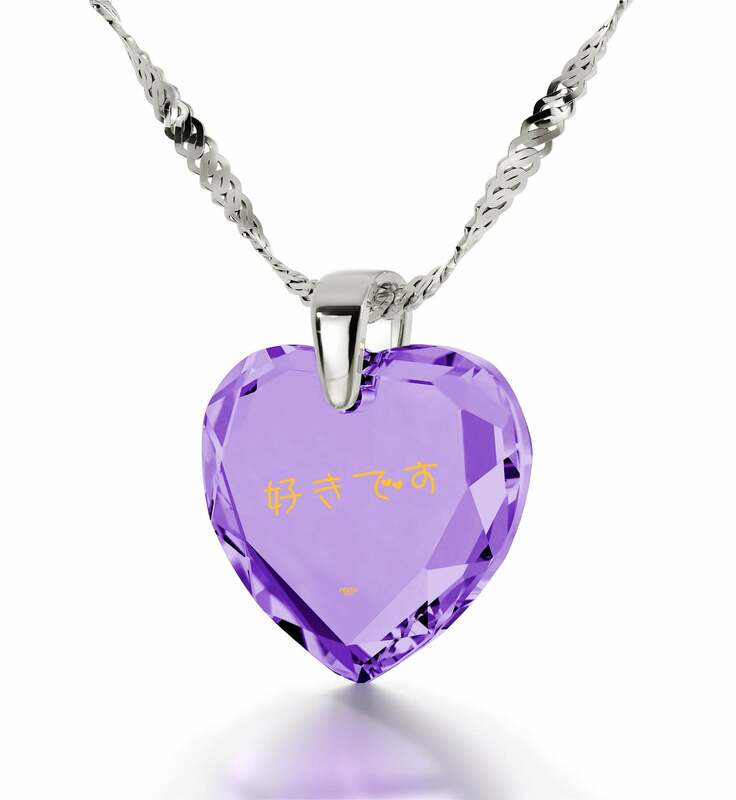 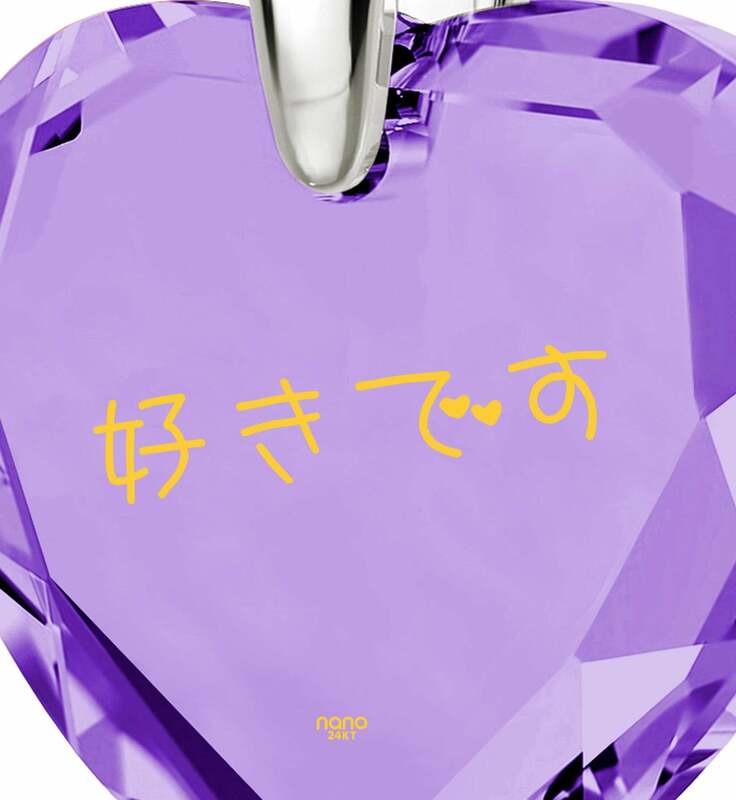 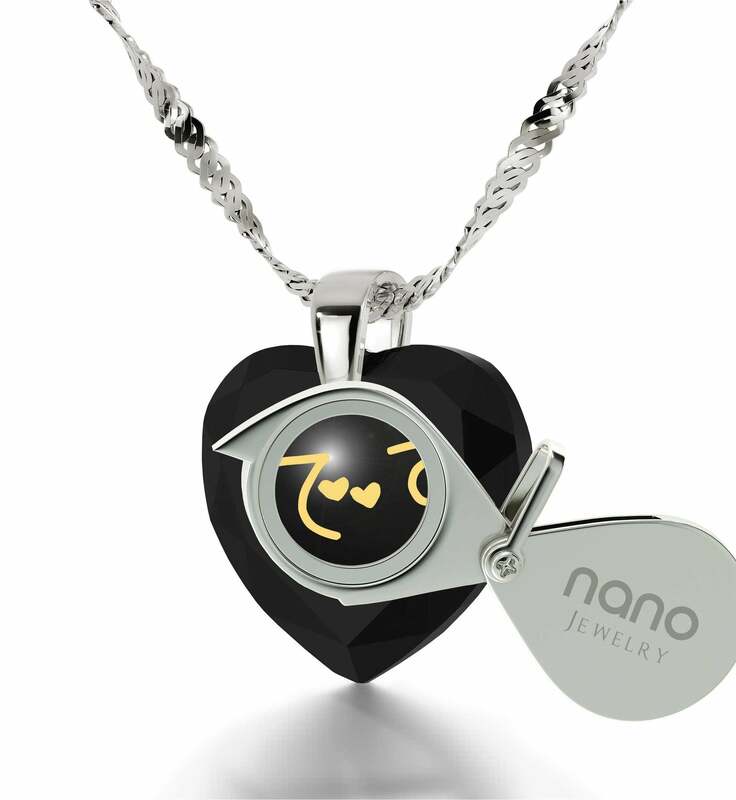 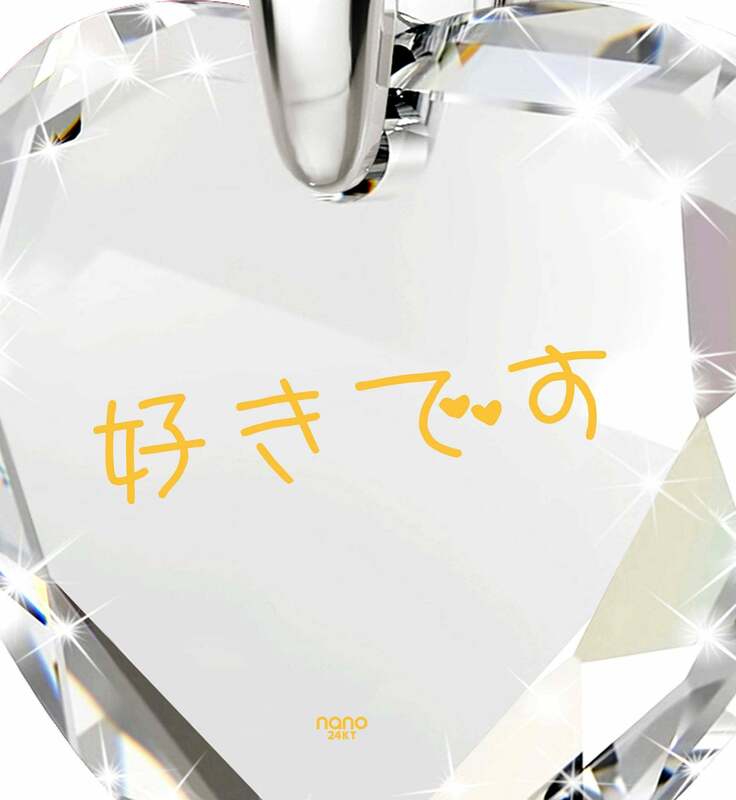 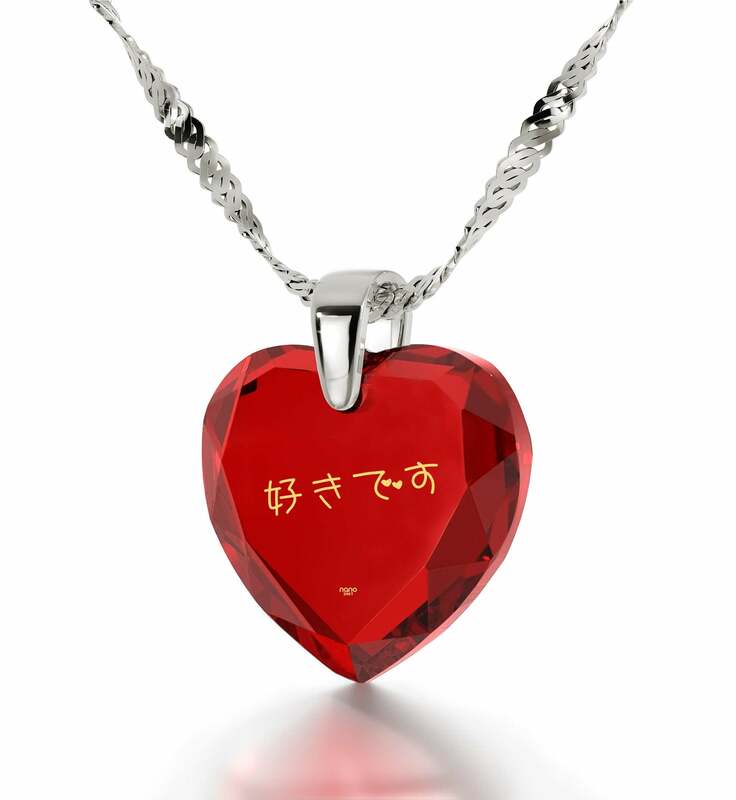 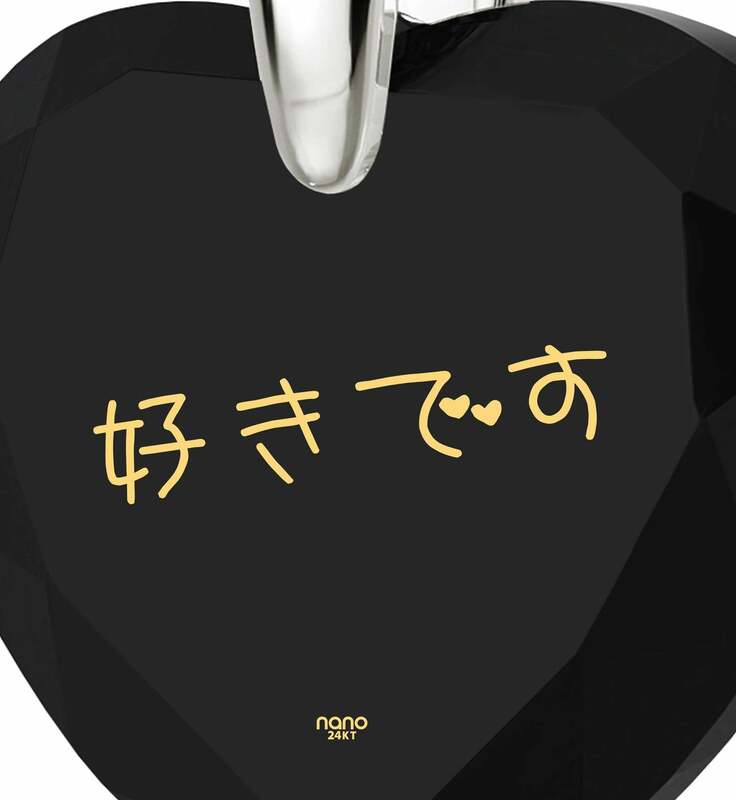 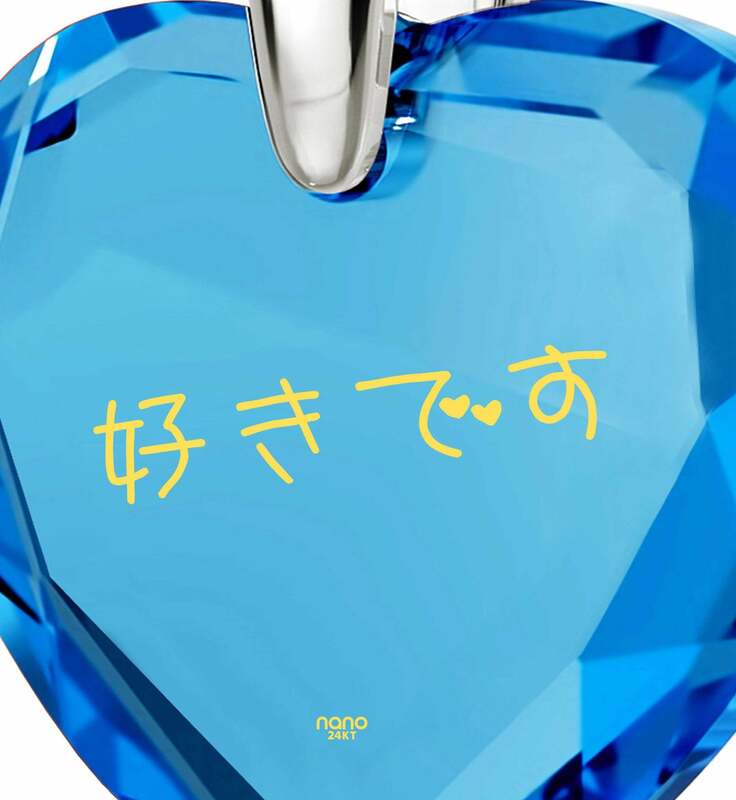 Gift for Wife Birthday, Delight her Now with Nano Jewelry in Japanese! There’s no need for desperation when searching for a special gift for wife birthday. With the deep connection shared between the two of you in mind, the right wife birthday idea is something which gives that special bond harmonious form. 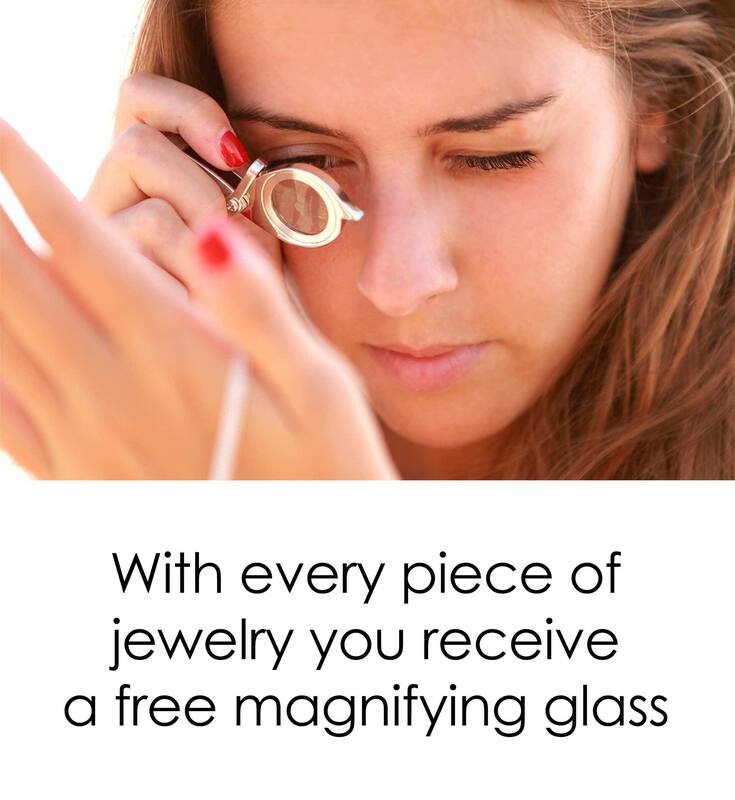 This inspired piece of white gold jewelry was made with careful consideration to accomplish just that, and it does so marvelously! 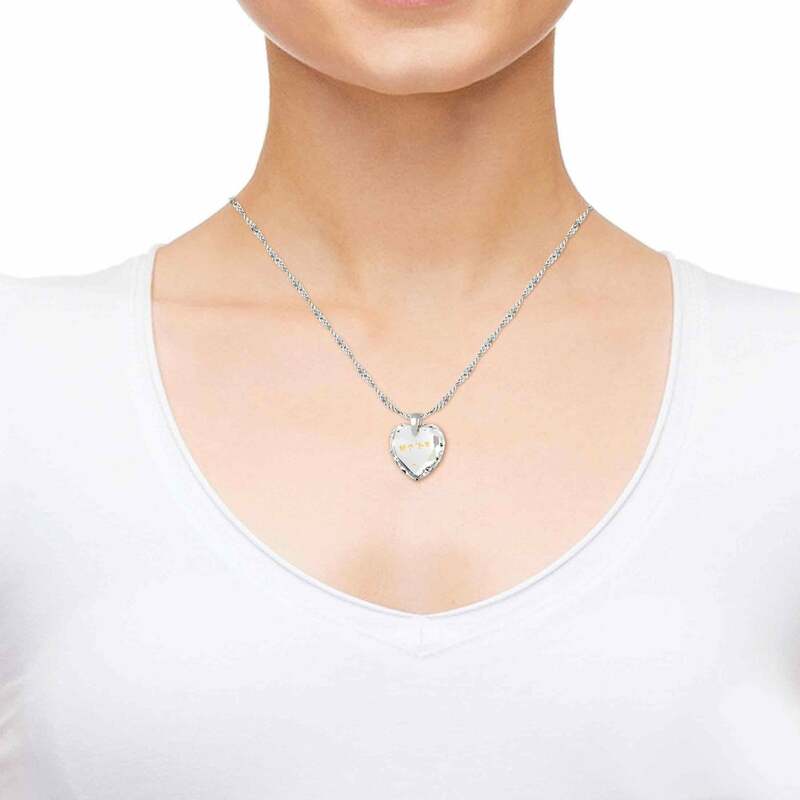 It all starts with a white gold necklace chain boasting intertwining links made with the Singapore style. 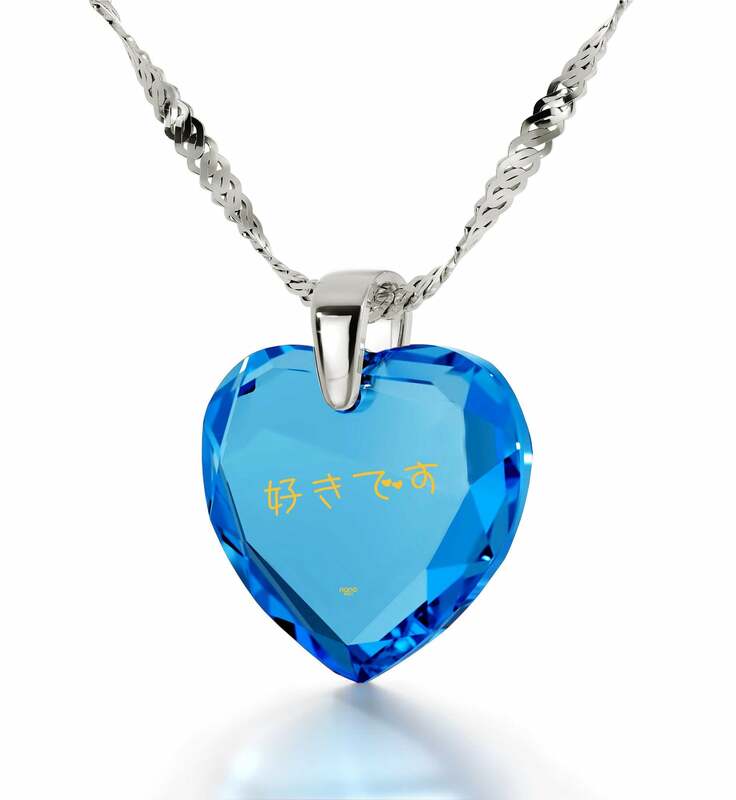 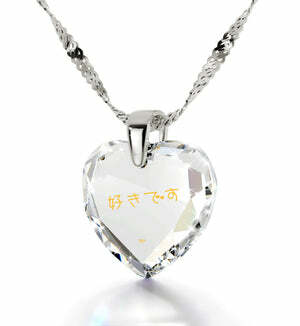 From it hangs a luminous cubic zirconia gem in the universal shape of a heart. 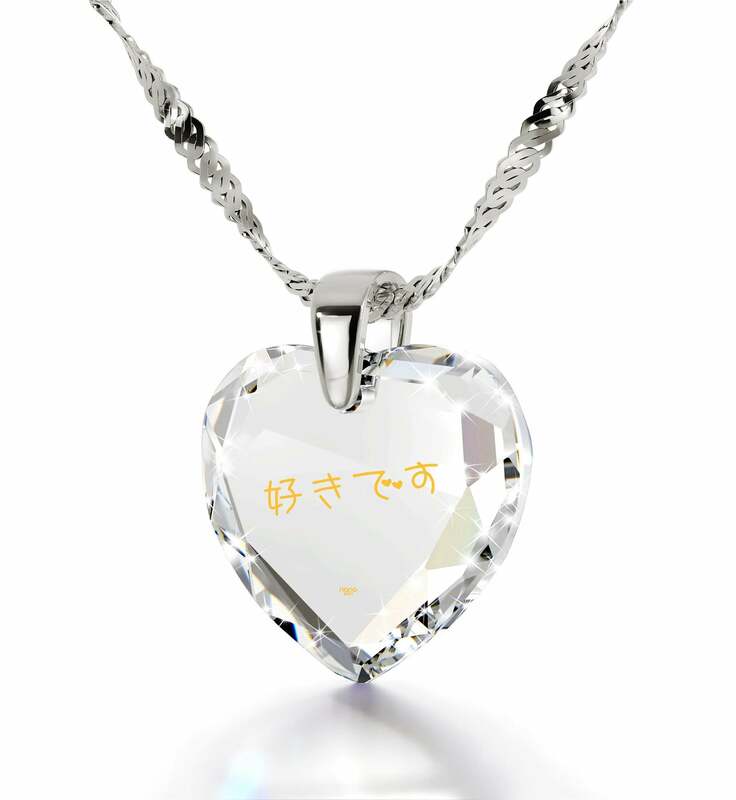 To discover its most intriguing part though, one needs to take a look at the golden markings inscribed onto the gem. On it, flawless hiragana script reads “I love you” and is made from pure 24k gold. Not only does this make the necklace exotic, it is also unique since the scale and detail its inscription is crafted with can’t be reproduced. Tracing each delicate line and taking in its strength won’t be a problem for her since a petite magnifying glass which doubles as a pretty keychain ornament comes alongside it as a thoughtful gift for her free of charge. 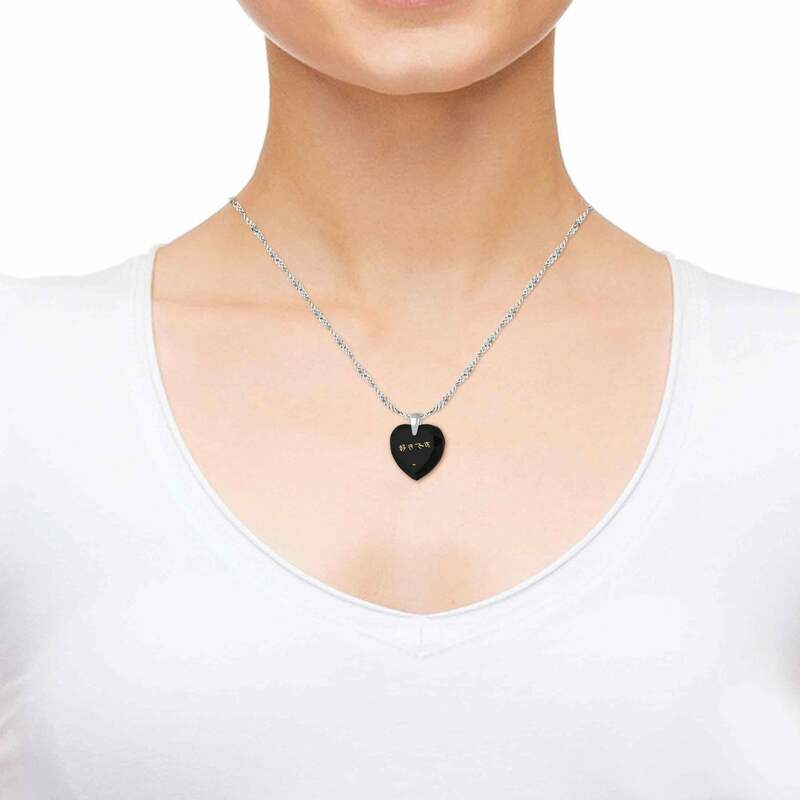 The only thing missing that would make it a top gift for wife of any taste is a fascinating box to put the necklace in, but don’t fret, we’ve taken care of that for you too. The question “what kind of gift for my wife should I get?” is hereby put to rest in a grand fashion!